The area's history and museums are just a few of the reasons to vacation in Karlin. Travelers to this romantic city praise the shopping, restaurants and bars. Sea World and Old Town Square are just a couple of the must-sees in the area. Many of our vacation rentals offer full kitchens, spacious living quarters and sometimes even a hot tub—perfect for a relaxing getaway. The nearest airport is in Prague (PRG-Vaclav Havel), located 8.4 mi (13.6 km) from the city center. You can see more of Karlin by jumping on the metro at Krizikova Station, Invalidovna Station or Florenc Station. Where to stay around Karlin? Our 2019 property listings offer a large selection of 316 vacation rentals near Karlin. From 9 Houses to 299 Studios, find a unique house rental for you to enjoy a memorable stay with your family and friends. 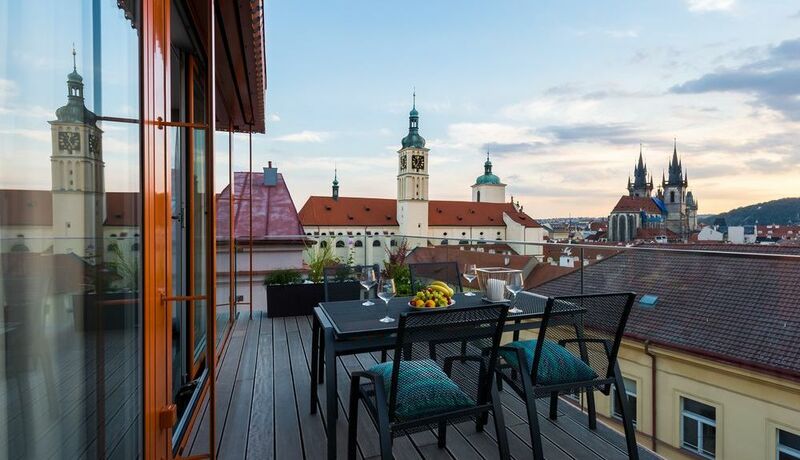 The best places to stay near Karlin for a holiday or a weekend are on HomeAway. Can I rent Houses in Karlin? Can I find a vacation rental with pool in Karlin? Yes, you can select your preferred vacation rental with pool among our 2 vacation rentals with pool available in Karlin. Please use our search bar to access the selection of vacation rentals available.